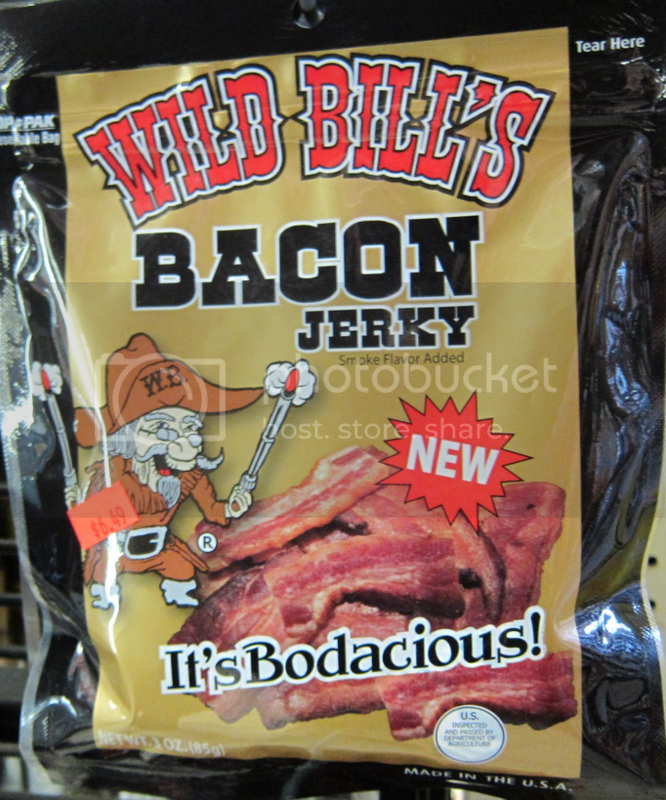 Skulls and Bacon: Wild Bill's Bacon Jerky Giveaway! I would love to try the bacon jerky! Is it wrong to say the fatty pieces of my own homemade jerky are some of my favourite parts? Really?? It should be obvious. Its bacon. I want to try bacon in all of its many forms. Even tactical (canned) bacon, which I will admit, frightens me some what. Really? It is bacon. I want to try bacon in all of its many forms. Even tactical (canned) bacon, which, I admit, frightens me some what. It's Bacon, it's Jerky, it's two great tastes in one! Okay, maybe one comment, what doesn't go good with bacon? It's Bacon! It's Jerky! It's two great tastes in one! 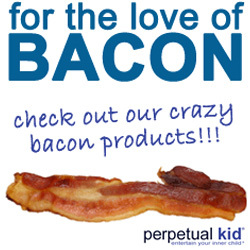 What else can you say, what doesn't go good with Bacon?!? No one has ever asked me "Are you going to eat your fat?" Because they know the answer. No one has ever asked me "Are you going to eat your fat?" Because they already know the answer. Having tried it I generally like it a bit dryer and crunchier. Maybe I'll open it on Tuesday and eat it on Wednesday. ****You need to give me this bacon jerky, because I just frantically looked at all my nearby grocery stores and NOWHERE HAS IT. PLUS, I am broke. So I'll need this free bag from you to hold me over until my paycheck comes towards the end of the month, then *maybe, just MAYBE* I can order some online. I have tried many bacon-y things ... some pretty unusual ... but have yet to try bacon jerky.